This is the first election Labour, the Liberal Democrats and the Conservatives have all included specific mental health sections in their manifestos. Even better both the Liberal Democrats and the Conservatives highlight the importance of mental health research. This is a breakthrough to be celebrated. Research has led to steps forward in our understanding of mental health problems; how we prevent them; and how we support the people affected. There is still much to be done to ensure that everyone who needs it has timely access to help based on the best available evidence. To ensure that other areas of Government policy take account of the growing evidence of the impact they have on people’s mental wellbeing. But we don’t think that the current state of the art is good enough. The NHS recently celebrated the fact that IAPT services hit their target of 50% of users ‘moving to recovery’ for the first time. This is a huge improvement on what was available a generation ago. Many other parts of the mental health system would be delighted with a 50% recovery rate. It was only made possible through research into CBT and other psychological therapies. But with over 2/3rds of us experiencing a mental health problem during our lifetime it isn’t good enough. At least we don’t think so. We would have liked all the parties to have gone further; and words in a manifesto are only meaningful if they are backed up by action in Government. 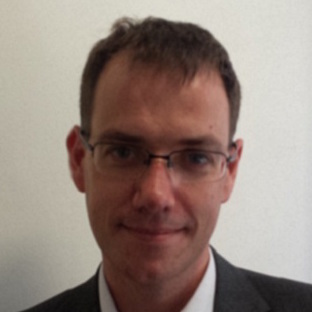 Will the historic underfunding of mental health research be reversed? Will research funders and policy makers start to take a more holistic approach to mental health, recognising that issues such as education, housing, welfare, the environment, and discrimination are just as important in how people develop and experience mental health problems as their biology or the medical services they receive? Will people affected by mental health problems be empowered to co-produce and lead the research agenda so it focusses on the issues that matter most? Will politicians use evidence to decide on where to invest scarce resources rather than which lobby group shouts loudest or promises quick or cheap results? These are all questions the manifestos are silent on. We need to work together to ensure that the next Government cannot avoid answering them. It should not just be up to the politicians either. As charities, as people who are affected by mental health problems, as health professionals, as researchers, as members of the public we all have a part to play. There is a real public momentum around mental health at the moment. It has created the space for initiatives such as Headstogether led by the Duke and Duchess of Cambridge and Prince Harry. We need to capitalise on the interest these have raised to achieve lasting change. It is a fact of life that politicians often respond to the groups who shout loudest. They prioritise the things they think the public cares about. It’s a feature of a democracy, not a bug. So if we are to drive mental health research up the agenda we need to show that people are passionate about it. There are many simple ways you can help with this. Before 8 June write to the candidates in your area and ask them to pledge to support the AMHRF’s manifesto (available here) and mental health research. Let us know if you get a response. The more MPs who return to Westminster knowing their constituents care about mental health and mental health research, the more MPs who will hold the next Government to account to keep their manifesto promises. There are more direct ways to support research too. Volunteer to participate in studies, or to advise researchers. If you are currently using mental health services ask your doctor or care co-ordinator whether there are any research opportunities you could take up. It’s unacceptable that 20% of Cancer patients benefit from participating in research, but only 2% of people who use mental health services do. 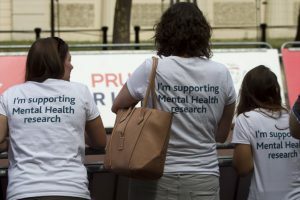 Donate to charities that support mental health research or fundraise for them (we have places on our Ride London team!). For every £1 the Government spends on the mental health research the public donates only £0.003. So we think we are making progress. Mental health, and mental health research are higher up the political agenda than ever. But we all need to work hard to capitalise on that. Ideas on how we do it are very welcome!